E-Clips Box - Triple Dual SIM adapter - DATA / Internet function - enabling 2 or 3 SIM cards to be active simultaneously for iPhone XS. E-Clips Box is a 3G dual and triple SIM adapter which allows to use 2 or 3 phone numbers active at the same time on your iPhone XS. 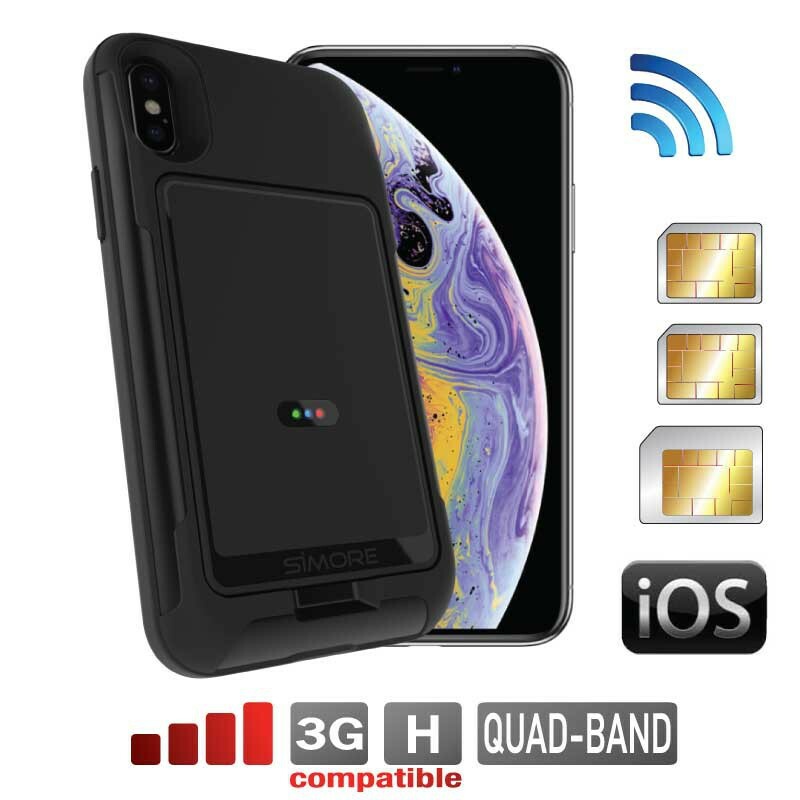 The cover E-Clips Case iPhone X-XS allows to protect your iPhone XS and carry your E-Clips Box triple dual SIM adapter on the backside of your smartphone.